What sets Cast of Stones Soaking Salts apart? 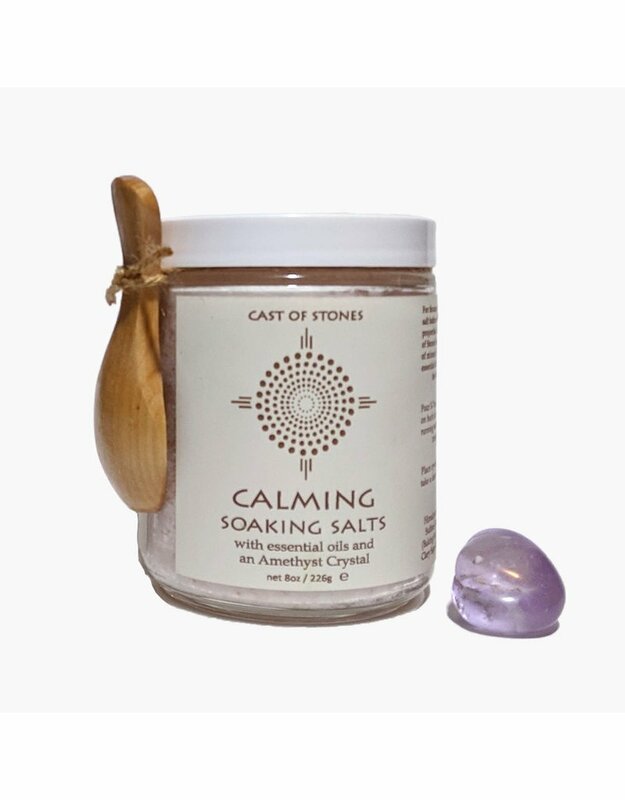 Their use of mineral rich salts, stimulating essential oils, and the fact that each jar includes a crystal. The type crystal varies depending on the goal of the soaking salt. Plus, the soaks are easy to use - Depending on the bath size, add 3-7 spoonfuls of the salt directly into the tub of running warm water. Soak for 15-30 minutes. 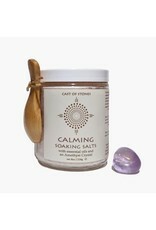 Calming Soaking Salt is used to ease stress and anxiety. The included Amethyst Crystal, a purification stone, keeps negative energy away, while aligning your chakras for an overall to better align your mind, body, and soul. Ingredients: Himalayan Salt, Dead Sea Salt, Magnesium, Sulfate (Epsom Salt), Lavender Oil, Sandalwood Oil, Clary Sage Oil, Chamomile Oil.